Larbert Old Parish Kirkyard has a number of very interesting gravestones, interesting for various reasons but there is one that conjures amazing images, smells and sounds of a far away world; it tells of travel, adventures and discoveries. 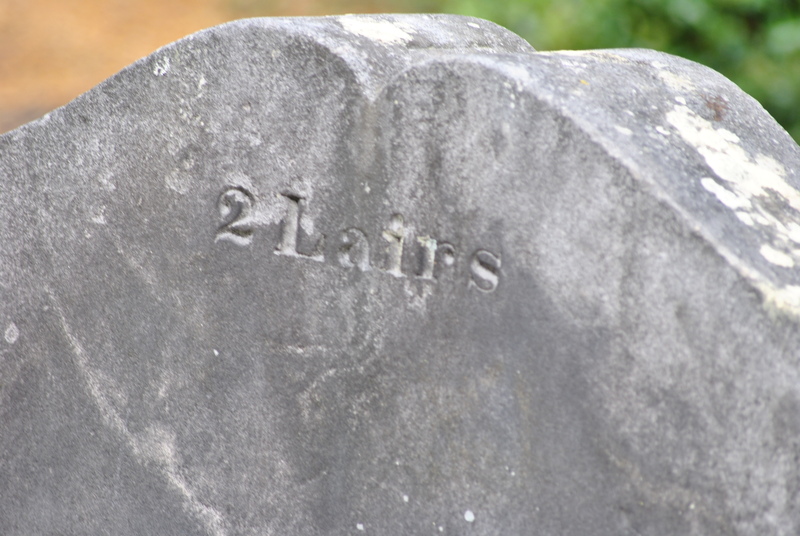 The gravestone of James Muir. 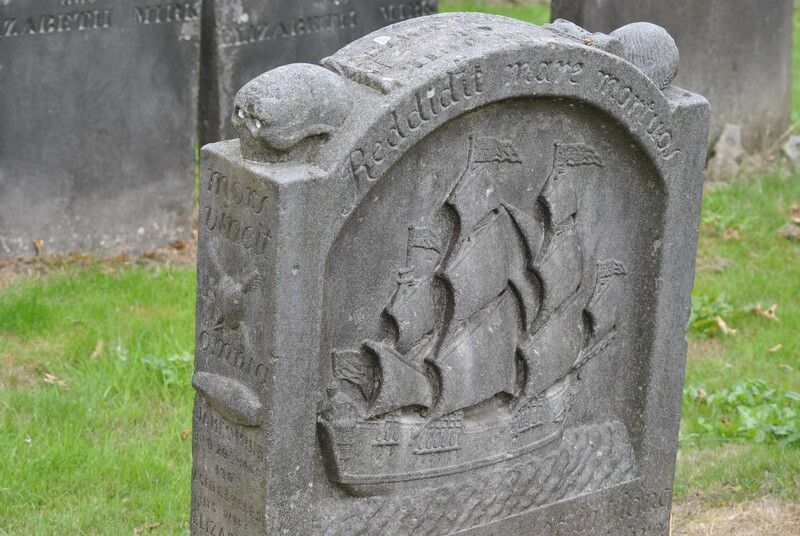 Richly decorated stones can be admired throughout the graveyard but one particularly impressive work is James Muir’s gravestone with his nautical carvings and Latin inscriptions. 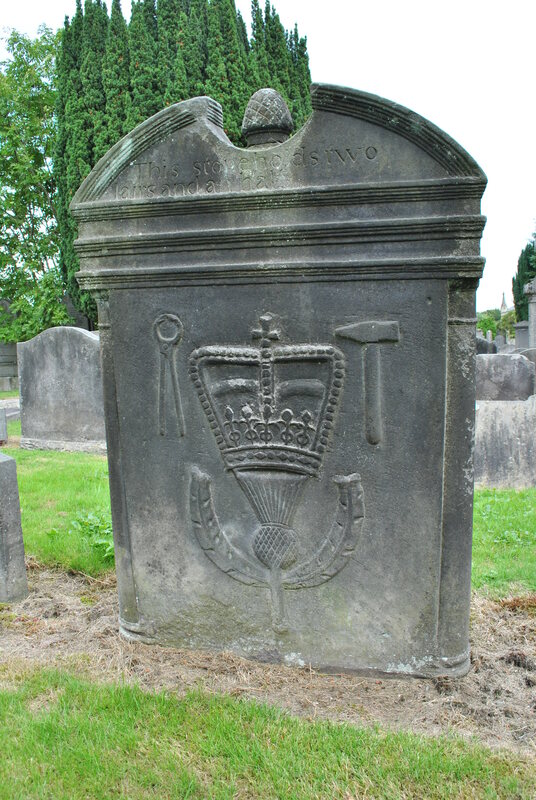 This stone tells a story and it displays a large number of classical gravestone symbolism. A specimen well worth a visit, its Latin wisdom a script for an amazing story. 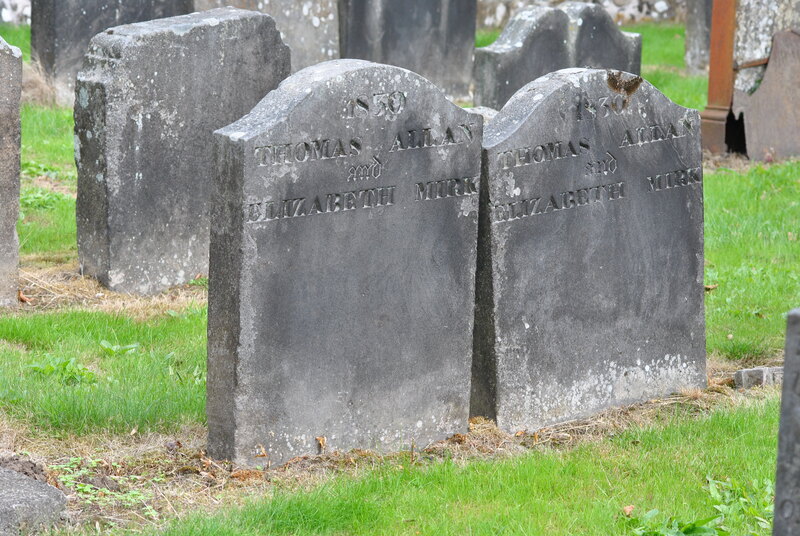 James Muir lost his life in 1761 in the crystal blue waters of the Caribbean, far away from Larbert old kirkyard. He died in what was called a maritime accident just off the coast of the island of Hispaniola, the now most populous island In the Caribbean. It was part of “The Americas” discovered by Christopher Columbus in the 15th century. Columbus had closely escape fate there, when he sailed aground with the Santa Maria on Christmas Day 1492. The island prospered in the centuries after and became one of the richest of the Greater Antilles (Cuba, Jamaica, Puerto Rico and Hispaniola) in the time when James Muir met his fate there in Monte Christi. Francis Drake had used it as a base in the 16th century, this was a pirate infested region. Here were important trading routes and many badly paid and miserably treated sailors, tempted by the lure of gold and fortune. In the 18th century England tried to establish colonies to make the most of its economic opportunities. They all came by ship and some died, far away from home, others returned with a fortune. This stone in Larbert Old Kirkyard tells this story: James Muir died on 9th May 1761 crossing the bar (A bar is one of the most dangerous spaces in the sea where conditions can change quickly and without warning) in a longboat fetching water at Hispaniola in the Monte Christi region. His body was recovered and interred when the sea gave up the dead. This stone was erected by his brother for his remembrance. It depicts the Prince Ferdinand, a large vessel under the command of Captain Andrew Anderson. James Muir was 29 years old. 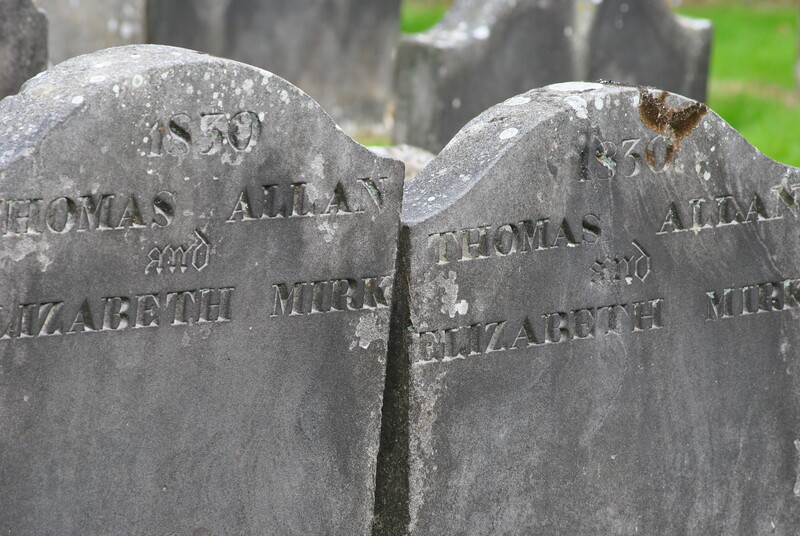 The double stones of Thomas Allan and his wife Elisabeth Mirk are two identical stones sitting side by side for no apparent reason. Did the stone mason produce one for each body and then added the inscription of each name on both? Was one stolen, then replaced and was then the old one found again? Was it an administrative mistake? Whatever it was, there are two identical gravestones in the kirkyard. Two stones marking one grave but there are also two graves marked by one stone. One stone for the burial of two people, one for two as they were buried in two layers, quite a common practice in the 19th century, when kirkyard space was a rare commodity. 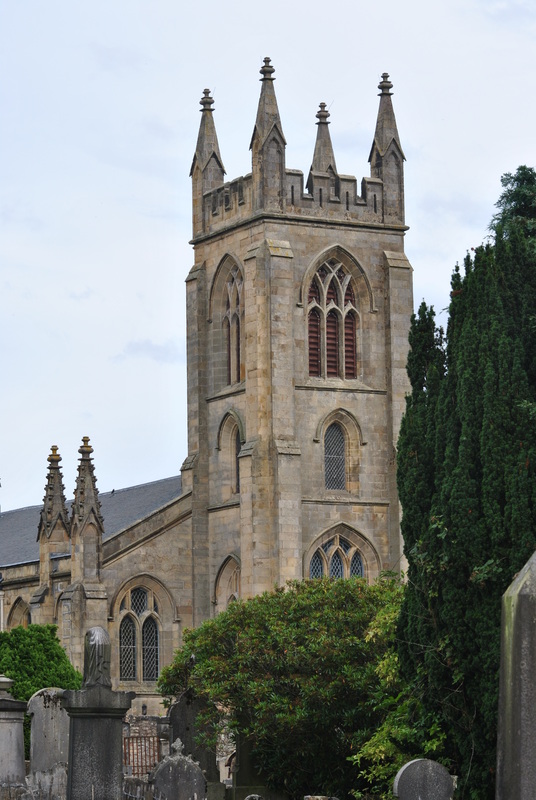 The Dawson family left a few remarkable stones and monuments in Larbert kirkyard. Joseph Dawson’s obelisk is now hidden underneath ivy growth, he was the manager of the Carron Iron Company from 1825 – 1850. Most of the gravestones are numbered, probably a later administrative addition to the stones by the local authorities. mors vincit omnia – eath conquers all.